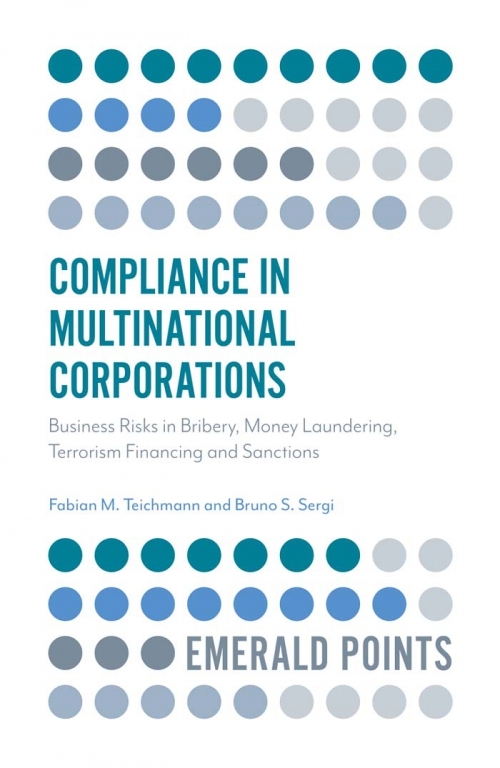 Over the past two decades, the enforcement of anti-bribery, anti-money-laundering and anti-terrorism-financing regulations has become increasingly challenging for multinational corporations. Bribery and money laundering scandals have the potential to take down entire multinational corporations. Frequently, managers in charge of those firms end up facing criminal prosecution and civil lawsuits, and are not equipped with the formal legal training to prevent these phenomena. Compliance in Multinational Corporations explores the historical background of such phenomena as bribery, money laundering, and terrorism financing. Analysing the legal environment based upon international conventions, and including an empirical analysis of 100 expert interviews, it takes an innovative look at the perspectives of both criminals and compliance experts to provide a long-lasting guide for compliance experts. While traditional compliance and financial crime literature focuses on rules, regulations and prevention mechanisms, this book shows how intelligent criminals act. It offers practical advice and concrete guidelines that will address the most pre-eminent compliance challenges. The book will prove an essential resource for compliance managers, academics and professional educators who wish to equip themselves against the significant risks they face. Chapter 4. Sanctions and Embargos: Effective Political Tools or Unnecessary Challenges for Compliance Departments? Fabian M. Teichmann is chair of Teichmann International AG. He earned an undergraduate degree in economics and finance from Bocconi University (Italy) and graduate degrees in general management from Harvard University (USA) and in law as well as in accounting and finance from the University of St. Gallen (Switzerland). Before founding Teichmann International AG, Dr Teichmann held various leading positions both in Switzerland and abroad. He holds a PhD in law from the University of Zurich (Switzerland) and he is a Doctor of Economics and Social Sciences from the University of Kassel (Germany). Bruno S. Sergi is a Center Associate of the Davis Center for Russian and Eurasian Studies at Harvard University. Concurrently, he teaches international economics at the University of Messina. Previously, he has taught and done research at New York University and the International Monetary Fund, among others. He has been an honorary fellow of the School of Social and Political Sciences (2010-2011) and a fellow of the Contemporary Europe Research Centre at the University of Melbourne (1999-2009). He is the founder and editor-in-chief of the International Journal of Trade and Global Markets, the International Journal of Economic Policy in Emerging Economies, and the International Journal of Monetary Economics and Finance. Sergi holds an MSc and MPhil in economics from the University of London and a PhD in economics from the University of Greenwich Business School, London.